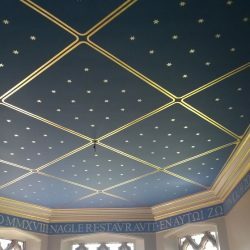 Established in 1857, St John’s College is the oldest Roman Catholic, and second-oldest overall, university college in Australia. 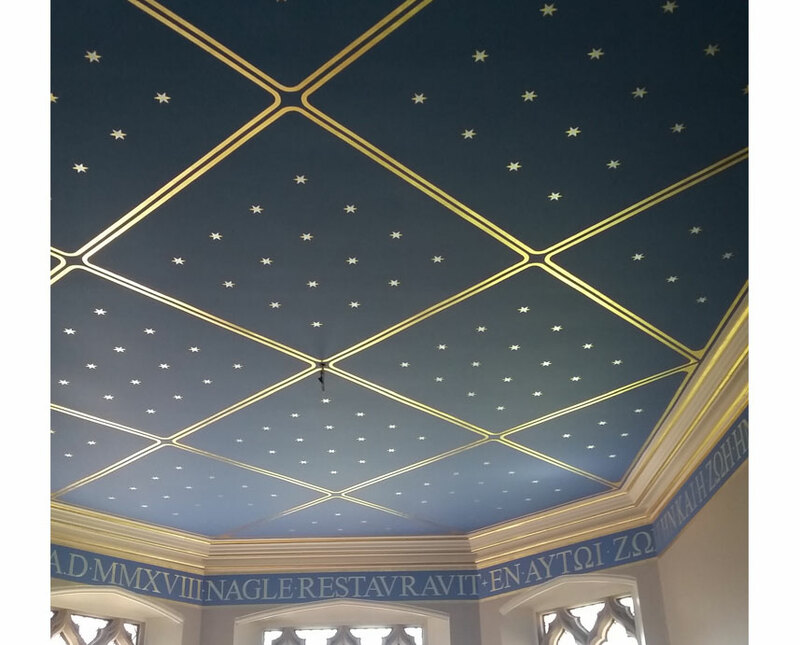 In March 2018, our company, Art Gilding was asked to adorn the Philosophers Room and the large Nagel Library of the St John’s College with 23 karat gold leaf. 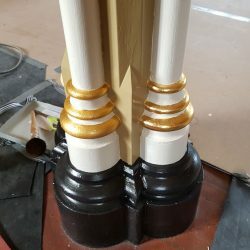 Walking up the wide balustrades staircase of St. John’s College, you really get a sense of history and a great appreciation of how our gold leafing work has become a very visual part of this. 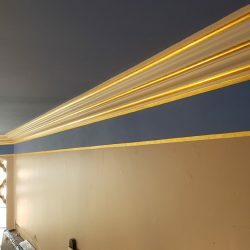 Most of the allocated time of 6 weeks, we spent gilding in the Philosophers room. 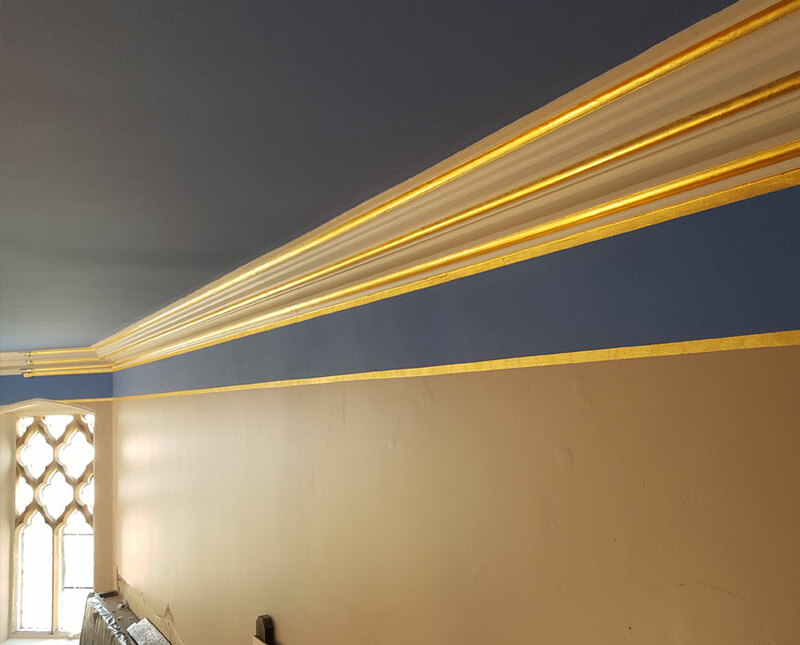 We started to gild the cornices that framed the room with 5 lines of 23k gold leaf. 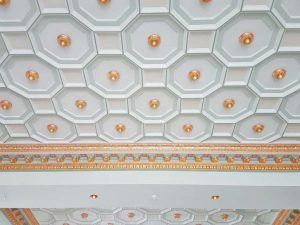 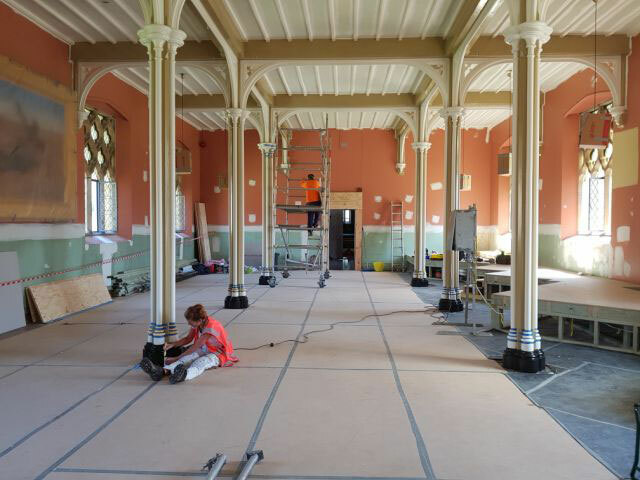 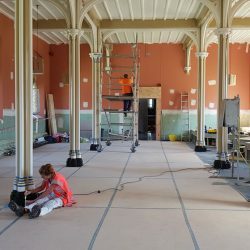 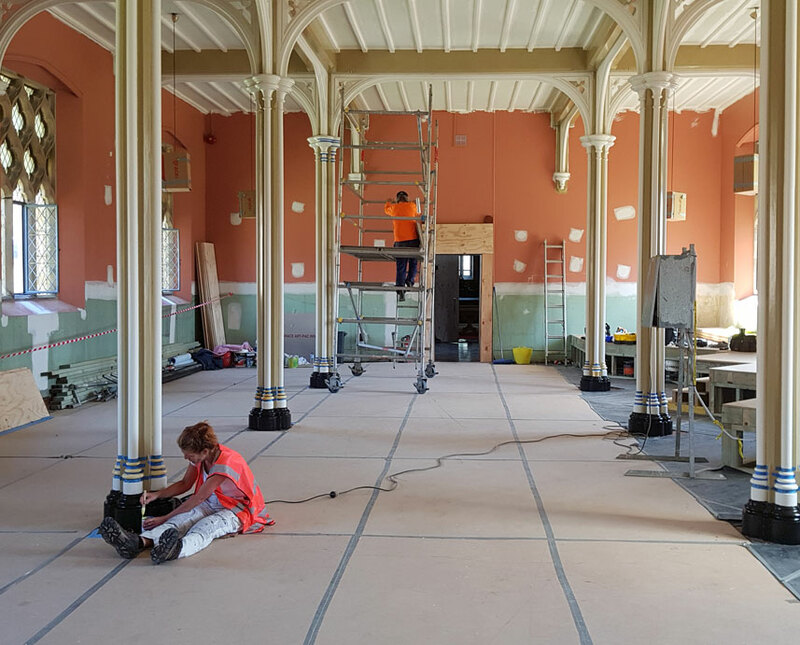 Then Cecilia and Attila Inhof joined the Art Gilding team to apply all gilded stencilling on the ceiling as well as the frieze surrounding the room. 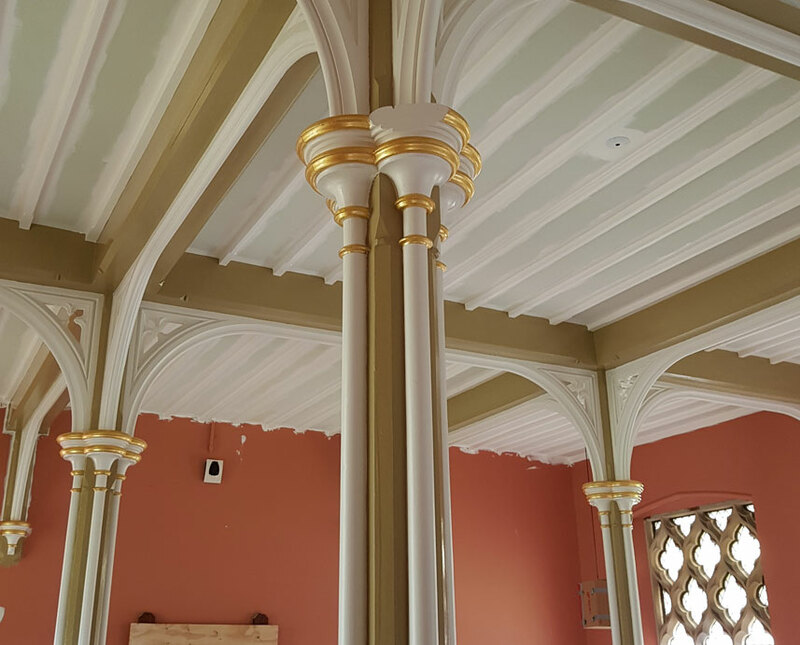 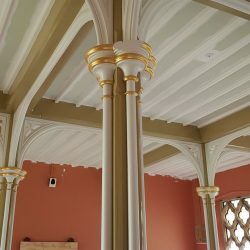 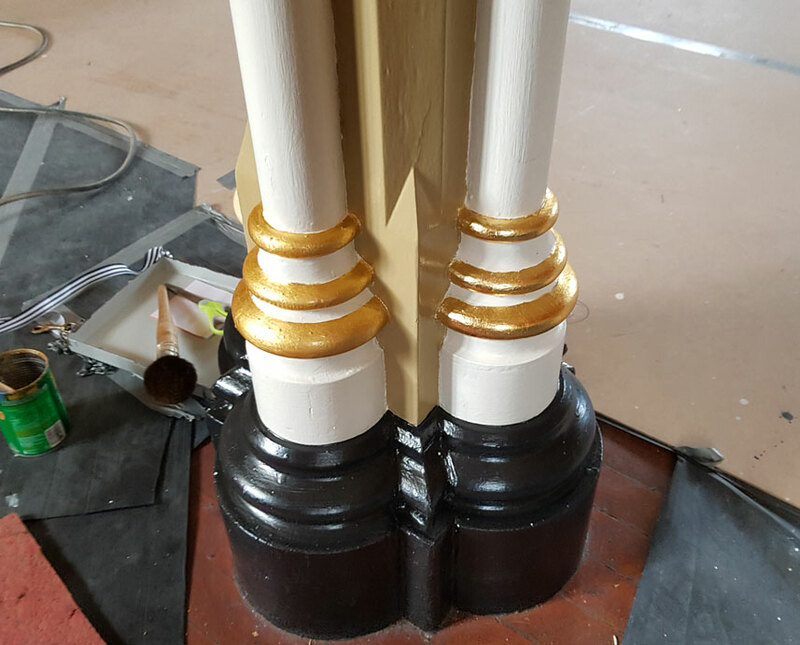 In the large Nagel Library we gilded 8 Columns – top and bases as well as all wall decorations with 23k gold leaf to the specification from the architect. 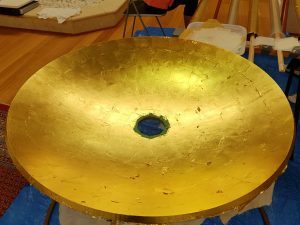 Art Gilding offered their two Master Class students (Krissie Kalteis and Per Ericson) the opportunity of hands-on experience under the watchful eye of Master Gilder Karl Eggert. 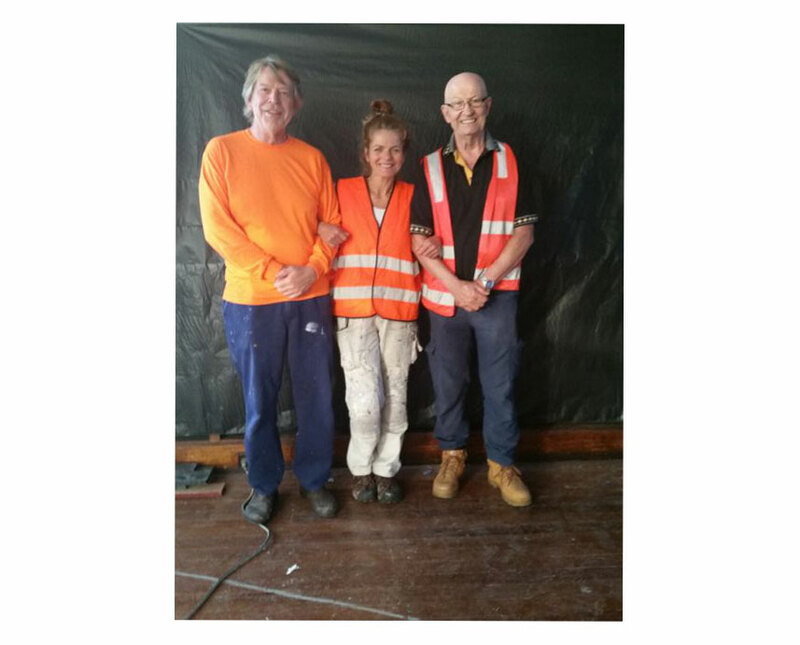 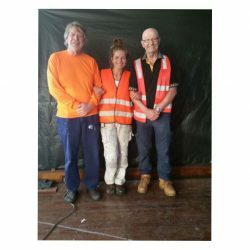 The whole team had a wonderful sense of achievement and the client is very pleased that all work was completed to excellent standard within time and budget.